Virgo is Mary and Coma is Mary holding the baby Jesus. 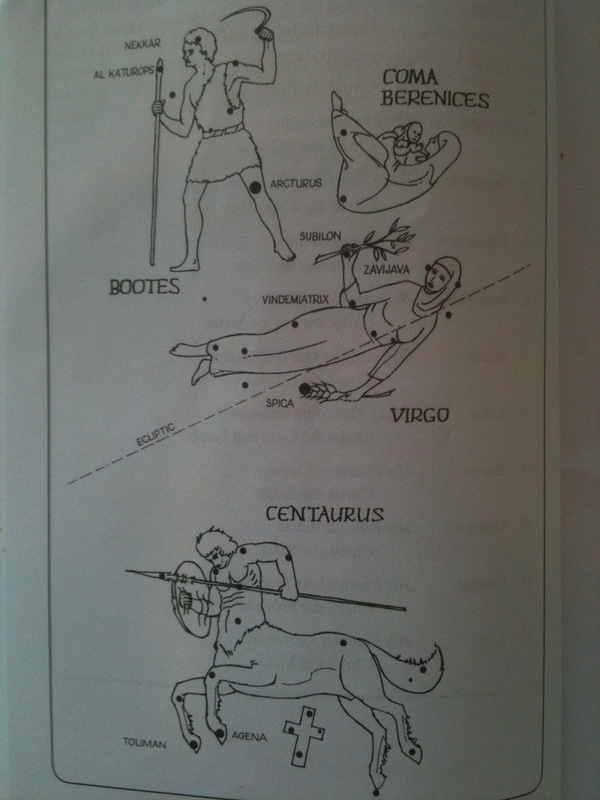 Centaurus is a man-horse just like Jesus was a God-man. Bootes is the Lord our Shepherd (Sam, almost 4, with Nate’s help, and maybe a little of Mom’s, too). 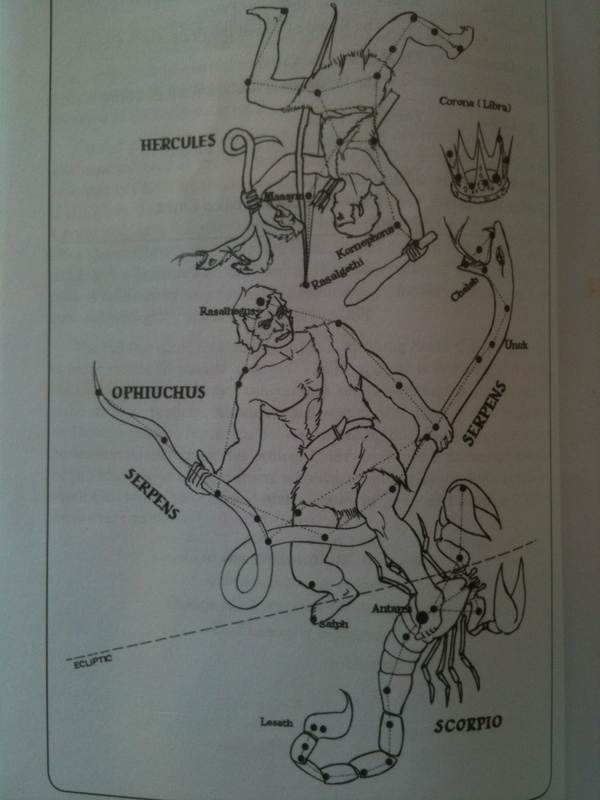 Scorpio is a giant scorpion trying to sting the hero who is stomping on his head and wrestling a giant snake called Serpens. Hercules is a hero killing a snake too (Nate, 6). 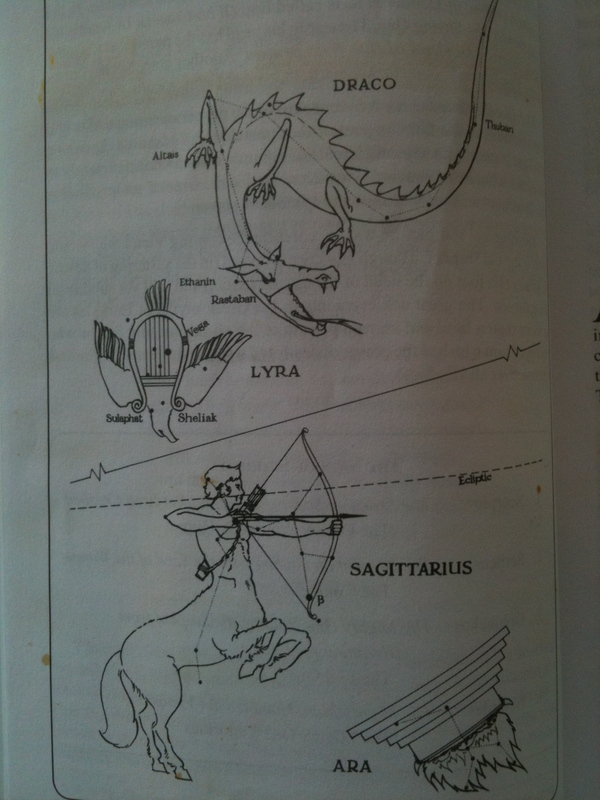 Sagittarius is another man-horse and the man part is an archer. Lyra is a harp to praise the hero with. Ara is a fire for Satan to burn in and Draco is Satan getting killed (Titus, 9). 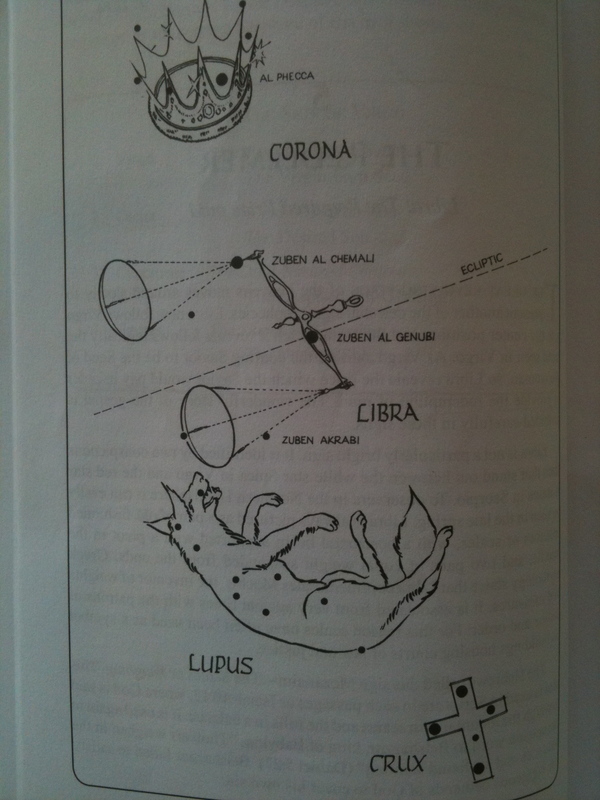 VIRGO shows God come to Earth. and the Price that God, Himself would bare. And the serpent, too, is trodden, dead. Like our Mighty God who became The Least. Wonderful!! You are witnessing and viewing how “the heavens declare the glory of God” and the story . . . thank you! That “little rhyme” is impressive, Sweetheart! Good work this week, boys. Maybe we need this book! Love the rhyme. Fleming’s book is inexpensive and user friendly but if you really want to capture the depth and beauty of the topic, I recommend two of his sources: Seiss’s “The Gospel in the Stars” and Bullinger’s “The Witness of the Stars,” both written in the late 1800’s. Ok! Thanks for the info! this really is totally new to me, and i havent even read the other link i sent you. my husband just mentioned reading it recently, and i thought you might be interested. all of this sort of hit like a ton of bricks! it’s a lot to think about! I love it when the whole family gets in the lesson! Thanks Charles! Love the rhyme! Maybe you could find someone to set it to music and there would be a new hymn. I would love to be able to debut a brand new hymn on my blog. Your boys are going to be the smartest things ever! You are too kind but I love your idea of setting the rhyme to music. Will have to thumb through my hymnal and see if an existing tune will match up to our rhyme. No one musically inclined enough to make up an original around here. If you have a college or university nearby, one of the students would probably be glad to help you for the experience.